Guitar Singing DIY Recording Drums Choir Form a Band! The Buttery Music School gives lessons in drums, guitar, singing, song writing, and DIY recording. We specialise in teaching one on one and small group music lessons to people aged 4 years to 1000 years old. If you are over 1000, you are too old. We also run a choir, an assortment of workshops, and help kids (and people of all ages) form bands, write songs, record albums, and start gigging.. Wherever you want to take your musical journey, we are there. For those looking for official gradings in music, Jaymee provides drum lessons from the Trinity College Rock and Pop curriculum, which is an Internationally recognised curriculum, through which you can gain official music gradings. Also, Siobhan has vast experience in preparing students for musical exams in voice. We have many students with learning and behavioural difficulties, and anxiety disorders. We have found that these people find a home in The Buttery, and we are so honoured to provide that space. We also often work with people who are looking to music as a way to gain self confidence, creativity and happiness in daily life. The Buttery Music Studios are inside shipping containers that have been converted into sound proofed, air conditioned spaces of creative happiness. The Buttery Music School is a home to people of all walks of life and states of mind - the misfits, the confused, the adventurous, the scared and the excited. This is a place for you to feel safe, warm, and inspired. Music is a dream, and we are lucky to roll around in it like puppies in mud. We are here to help you on your musical journey, in whatever shape that takes - whether it’s mastering an instrument, writing songs, recording an album, forming a band, learning to gig… Or if its a means to find some confidence in daily life, or to let go and smash a drum kit for an hour to release some tension. We’re right here to delve into it with you. Every person who walks into the Buttery doors is on their own path, with their own goals. We craft the curriculum to each individual student, and allow for their path to twist and turn however it pleases. Buttery Music School founder and drum teacher, Jaymee, being a silly billy because she can be. 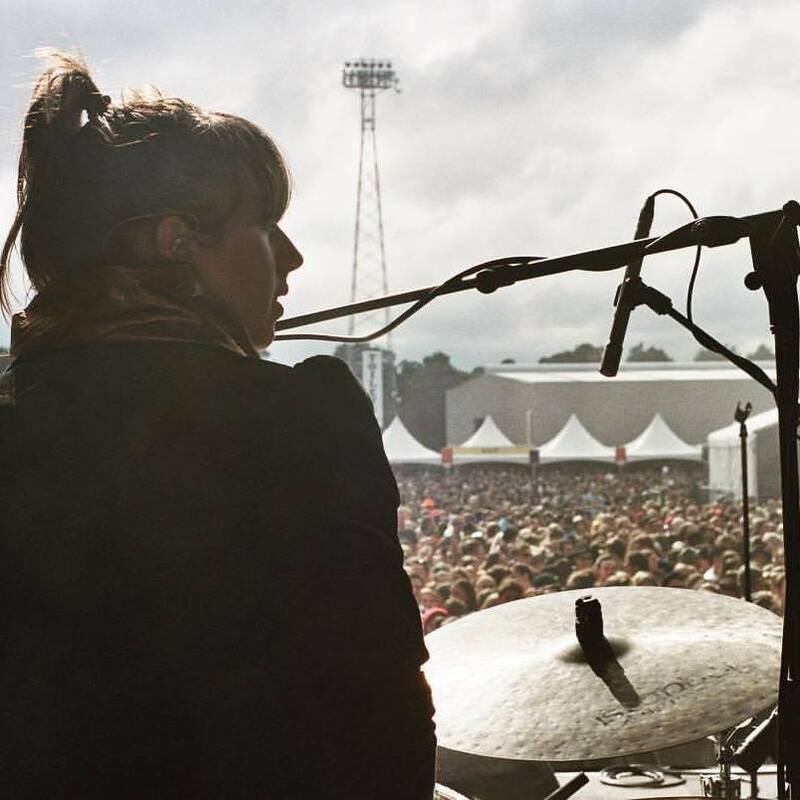 The Buttery Music School was founded by fun loving happiness queen, female drummer, Jaymee Watkin, in 2014. Early in Jaymee’s music and teaching career, she discovered that she has a special knack for helping children, and people of all ages, find confidence and passion within themselves in all aspects of their lives through music. She has since based her teaching approach around this. What began as teaching drums in the spare room of Jaymee’s house has now grown into a music school with 2 music studios and a family of inspiring teachers. She is now more inspired and excited than ever, in her element, growing The Buttery - a place that breathes music, creativity, confidence and comfort into as many lives as possible. Learn more about Jaymee and her drum lessons here.